Joe’s New Balance Outlet is running a deal on the ultra lightweight Men’s and Women’s Fresh Foam Sport style that will speak to your soles. Right now, use promo code KINJADEALS to snag a pair in one of 12 color combinations for just $40 — that’s $10 less than what they’re currently going for on site. You’ll want to move fast, though; this sale will cross the finish line on Wednesday. Don’t you dare check any luggage the next time you’re boarding a flight. If you want to take the upcoming spring and summer travel seasons by storm, consider going all in on this TravelPro Platinum Elite 21" Expandable Carry-On, now marked down to an all-time low price of $199. It’s currently available on Amazon in four colors: a bold bordeaux, rich espresso, a soft gray, and classic black. And with magnetic spinner wheels, a ton of built-in accessory pockets, and a USB port and holder for your power bank, this high-quality carry-on is really on a roll. 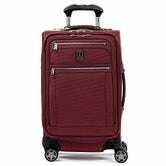 Full disclosure: TravelPro once sent me this carry-on in red, and it’s the best, most stylish, most practical suitcase I’ve used, like, ever. J.Crew Factory is already marked down significantly compared to its regular J.Crew counterpart, but now, the Factory is taking its discounts to a whole new level. For today only, take an extra 50% off all clearance items for men, women, and kids using code NOPRANKS. Plus, everything else on the site is 50% off with the same code. The whole factory is currently stacked with springtime staples in that classic J.Crew aesthetic, so shop and save on those in-season styles now. Audio Technica’s venerable ATH-M40x headphones (along with their larger M50x sibling) are our readers’ favorite wired headphones, and you can try on a pair for $79 right now, about $20 less than usual. It might be a little bit of a stretch to buy wired headphones in 2019, but between the M40x’s build quality, comfort, flat tuning response, and widely lauded sound quality, they’d make for great office headphones, where Bluetooth isn’t as big a deal. Its 7" screen isn’t as big as the new model, and it’s not the most attractive gadget ever designed, but the original Echo Show is still a great smart home hub, and it’s particularly tempting at just $100. 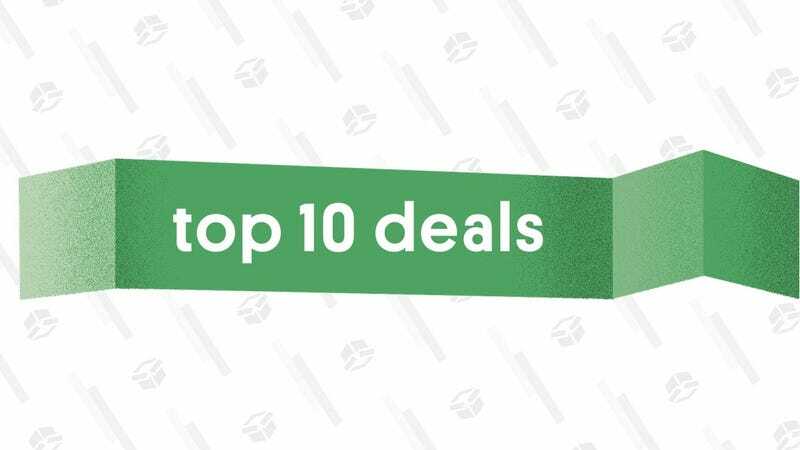 This deal is only available today from Woot, and even though it’s brand new, it’s actually $20 less than Amazon’s current refurb price for this model. You might remember hearing about Tide’s Eco-Box a few months ago. Rather than a plastic bottle of detergent that’s put inside a box and shipped to your house, it actually is the box. Compared to a traditional detergent bottle, it’s made with 60% less plastic and 30% less water, and honestly, it seems like an unambiguous step forward in eco-friendly packaging, one that we’ll probably be seeing more of in the future. If you’re curious to check it out yourself, Amazon’s offering a $2 coupon, bringing the 96 load container down to $17 when you combine the deal with Subscribe & Save. Just remember to cancel after your first delivery if you don’t want to keep receiving it.